Improved design is more accurate in strong winds. When your console says, "hold onto your hat" you'll be getting the most accurate data with this cone! 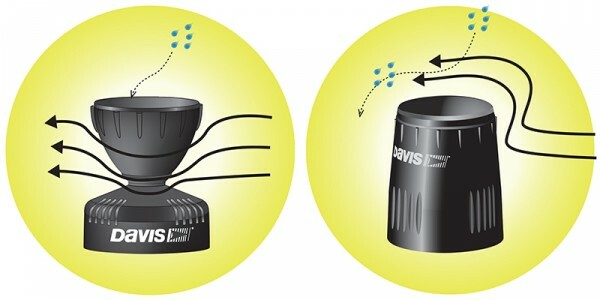 The new shape allows wind to flow around the cone, reducing turbulence and friction at the mouth of the collector. 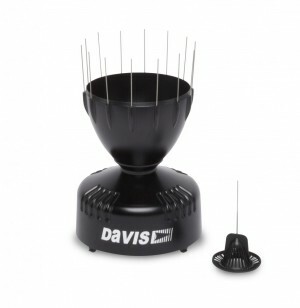 It also includes bird spikes to discourage bird fouling and an improved clip-in filter to capture leaves and other debris. All new Vantage Pro2 weather stations come with the improved rain collector while users with existing stations can upgrade with the upgrade kit.